Have you ever thought about your brain health? Have you ever heard or even said, “Oh, I just don’t remember things as well as I used to, but that’s normal.” But guess what, new research has now shown that one’s memory skills and cognitive abilities do not have to decline as a part of the normal aging process. We are never too old to learn and need to embrace the concept of lifelong learning. There are many things each of us can do to maintain or even improve our memory skills and overall cognitive abilities. First, let’s begin with some very basic tasks you can use immediately and continue on a daily basis. Try brushing your teeth with your non dominant hand. This helps form new brain pathways, promoting new learning. Once you are comfortable brushing your teeth with your opposite hand, then alternate hands on a daily or weekly basis. You can try the same technique when brushing your hair. Another simple task to incorporate into your life is upon entering the grocery store begin your shopping on the other side of the store. This helps break your regular routine and encourages you to think. For a more complex challenge, try shopping at a different store. This helps your problem solving skills improve as you navigate your way through an unfamiliar environment. By trying things a little differently, you help create new brain pathways to keep your brain healthy. Want some additional ideas to promote a healthy brain? Consider this-if something is good for your heart, then it is also good for your brain. Eating fish at least 1x/week decreases your risk for developing Alzheimer’s. Not bad! Do you know if you are consuming adequate amounts of Vitamin D? This is crucial to your overall brain health. Be sure to get enough rest, and if you need a nap during the day then take one. After all, your brain needs rest too! Actively focus on decreasing your stress! Stress can negatively affect your memory skills. Here are some fun ideas to promote brain health. Gather some friends together and play a board game or learn a new card game. Try something new! It’s important to be part of a social group and have fun. Get a group together and take a nature walk- identify birds, trees, flowers, butterflies, anything and everything! Laugh! Remember, you are never too old to learn and challenge your brain. 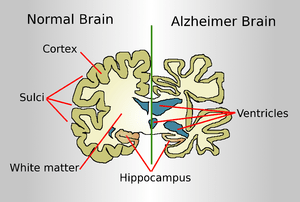 Posted on November 15, 2010, in anti-aging, baby boomers, Brain, brain fitness, brain health, Brain Plasticity, cognitive reserve, executive function, health, Healthy Aging, memory, Mental fitness, Mental Stimulation, problem solving, reasoning, senior health, thought flexibility, Uncategorized and tagged Ageing, Alzheimer's disease, anti-aging, baby boomers, brain, brain fitness, brain health, brain plasticity, Cognition, cognitive reserve, health, health and wellness, healthy aging, mental fitness, mental stimulation, senior health. Bookmark the permalink. 1 Comment.